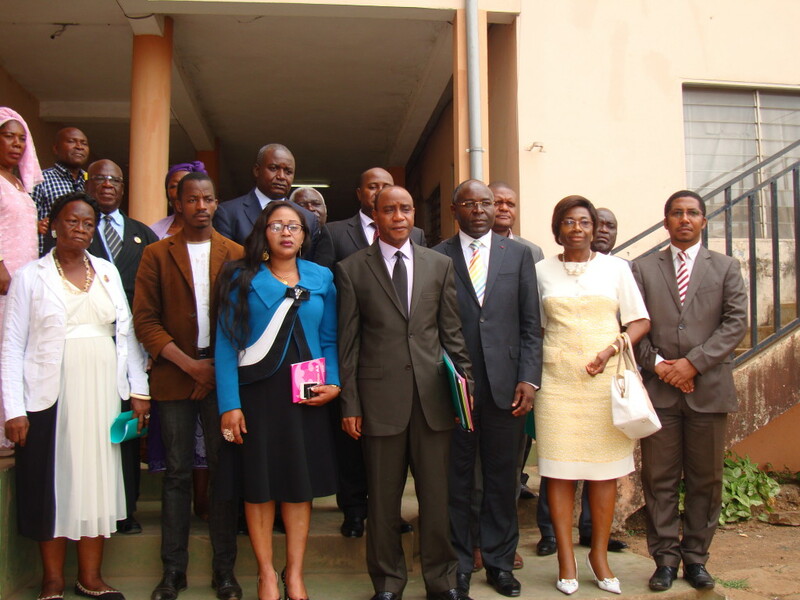 On Thursday, 3rd March 2016, municipal leaders, administrative authorities, regional representatives for non-governmental organisations and telephone operators gathered together to discuss the progress made in the fight against Neglected Tropical Diseases (NTDs) in the Centre region of Cameroon. The meeting was presided by the Governor of the Centre region and in attendance were key officials such as the Permanent Secretary for the National Programme for the Control of Schistosomiasis and Soil-transmitted Helminthaisis, Mayors from the Centre region and regional representatives of implementing partners. The Governor stressed that people of the Centre Region are highly affected by these diseases, so there is a need for effort to be put in combatting them. Strategies are being put in place which will help reduce the burden of these diseases some of which are blindness and retarded growth in children. Treatment through intensive case management is used to target leprosy, buruli ulcer and yaws while Mass Drug Administration (MDA) is used to target onchocerciasis, schistosomiasis, lymphatic filariasis, soil-transmitted helminthiasis, and trachoma. Community drug distributors (CDD) play an invaluable role in the effective implementation of MDA. Resolutions taken during the meeting encompass bimonthly meetings held at peripheral levels involving all representatives of all actors at this level. These meetings shall be rotational, taking place in each municipal area. In addition, a close collaboration is expected between the mayors and managers of district health centres, this allows for an up-to-date status on the prevalence of NTDs to be known. In order for the Centre Region and Cameroon at large to meet its goal of eliminating all NTDs by 2020-25, there will need to be an intense engagement/mobilisation of the local communities. The Governor stressed on the importance of the commitment and effort of all actors from Mayors, NGOs to telephone operators in this fight against all NTDs in Cameroon.